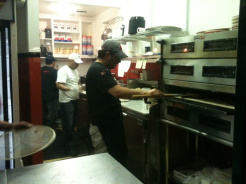 My Bad Horse Pizza experience in Harlem | HarlemGal Inc.
Last night (April 2), I did my usual! I put my money where my blog [mouth] is. My theory is, I can blog a ka-chillion posts as a Harlem blogger and receive a ton of hits. However, in my view it don’t mean a thing, especially to readers, if one doesn’t actually go out in Harlem, spend money on the Harlem places one blogs about and share it . Catch my drift? So last night I met up with a friend, who recently bought an apartment in Harlem, to checked out Harlem’s newest restaurant on Frederick Douglass Blvd, i.e. Bad Horse Pizza. When we arrived, we had to wait a bit for a table. 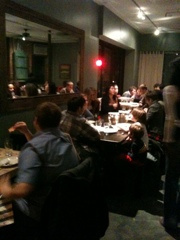 Bad Horse Pizza was busy for its second night of business. Eventually, we were seated in the back. From there, you can see how the interior is designed to look like a barn. 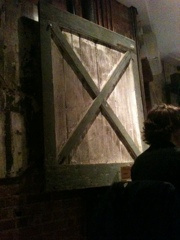 The windows near the bar have old fashion, wooden barn doors next to them. 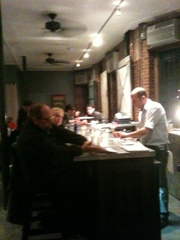 The dining tables are wood and the bar has a rustic metal look to it. The place looks great and you feel comfortable inside. 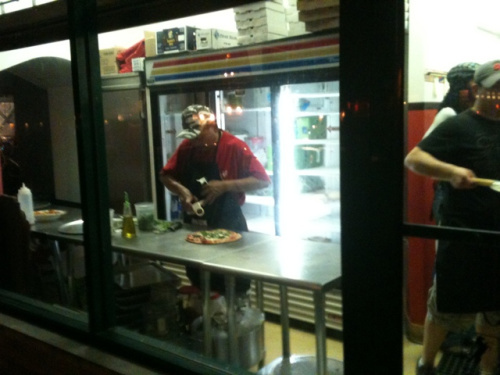 Plus if you’re walking to Bad Horse Pizza from the south, you will see the pizzas being made fresh. The kitchen is completely wide open! 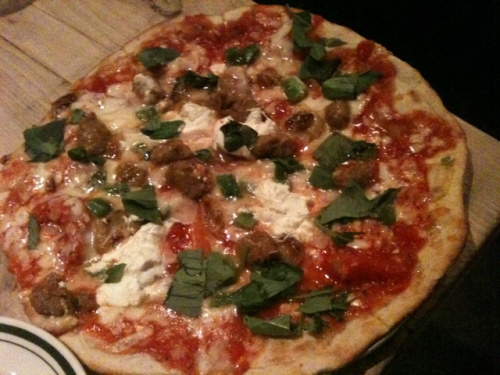 As for the food, we ordered a mixed green salad to share, a ten inch acropolis and secaucus pizzas. What we received was a salad, bad horse pizza and a secaucus. We looked at the two-meat pizzas and said…oh well. Let’s eat these. The place is still figuring out their game, which is ok since they just opened, and we were hungry. We devoured two meat pizzas. They were good and filling. If you like Italian sausage and real big pieces of steak on your pizza, you will like these two pies. 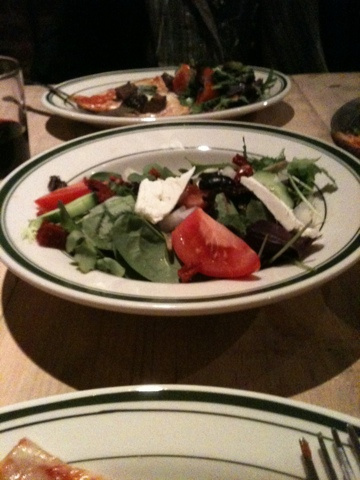 Our pizza and salad was coupled with free glasses of red wine. Can’t beat that! Overall, our bill was $49, not including tip. If you’re looking for freshly made house pies, check out Bad Horse Pizza, located at 2222 Frederick Douglas Blvd, for yourself. Then stop by HarlemCondoLife and tell us about your experience! This entry was posted in business, Community, Harlem, New York, New York City, NYC, restaurant row, restaurants, review and tagged 10026, 2222 Frederick Douglass blvd, Bad Horse Pizza, dining out, Harlem, new restaurants. Bookmark the permalink.